Our product range includes a wide range of compact plug fan, centrifugal plug fan, plug fan for furnace, plug fan with high temperature ambient operation and plug fan. We are among the celebrated names in the industry, engaged in offering Compact Plug Fans to our revered customers. 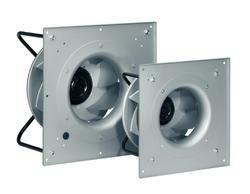 These fans are regarded for their compact design, efficiency and long-term functionality. 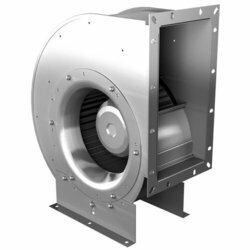 The offered fans can be availed by the customers in several specifications pertaining to impeller diameters and drive output. 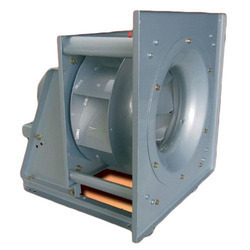 We are among the veterans in the industry for manufacturing and supplying Centrifugal Plug Fan. 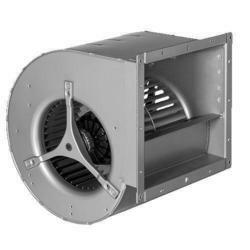 The offered fan is used for supplying air current for ventilation, cooling and air purification purposes in a wide range of industries. It is easy to install and generates low noise while operating. Being made from high quality materials, it is resistant to corrosion and is energy efficient as well. We are among the trusted names in the industry for manufacturing and exporting Plug Fan for Furnace. The offered fan is extensively used in chemical industries for providing strong current of air to blast furnaces. This machine is exceptional in terms of tensile strength, resistant to corrosion, energy efficient and offered at cost effective prices. We are operating as a manufacturer and supplier of Plug Fan with High Temperature Ambient Operation. The offered fan is used for providing ventilation in industries, cooling of blast furnaces, regulating temperature of air conditioning systems and purification of air in pollution control systems. This fan can regulate its operation according to the temperature of the surroundings. We are among the celebrated names in the industry for manufacturing and exporting Plug Fan. The offered fan is extensively used in the chemicals, pharmaceuticals and fertilizers industries. This fan is suitable for providing flow of air to the blast furnaces and reactors. It is exceptional in terms of quality being made from high grade materials sourced from our reliable vendor base.